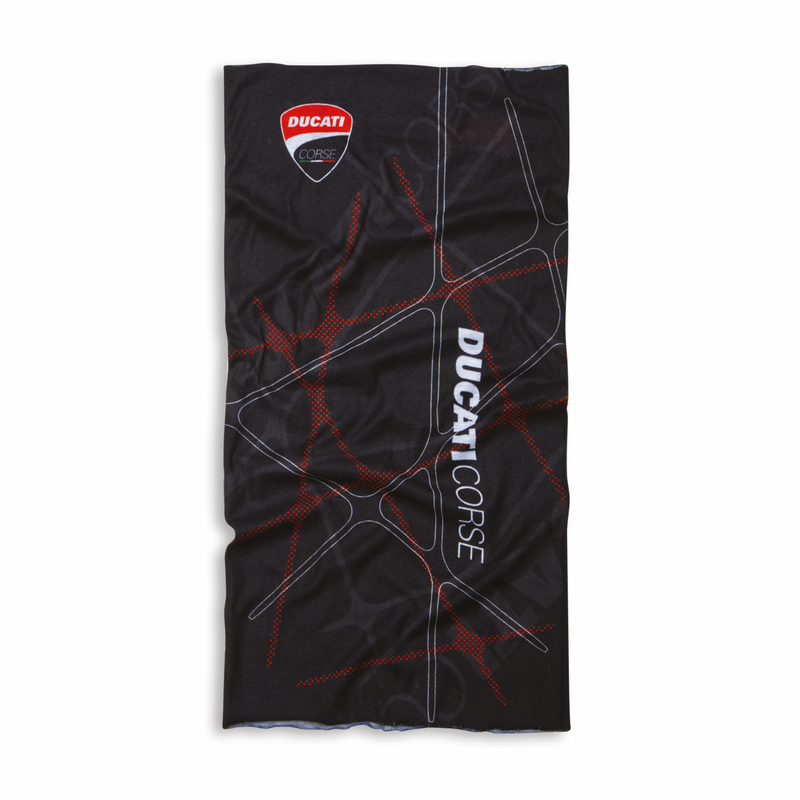 The Ducati Corse neck warmer is a must-have accessory of all motorcyclists. Made of microfiber with a cotton touch, it features all-over graphics dedicated to the world of Ducati Corse. It can also be used as a band, ski mask, or bandana. Size: 24x46 cm.